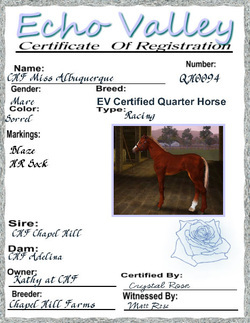 Albuquerque is a sorrel mare by one of our premier stallions, Chapel Hill, and out of the mare, CHF Adelina. She will be a great broodmare and become some of our foundation stock. We are very happy with her progress under saddle.